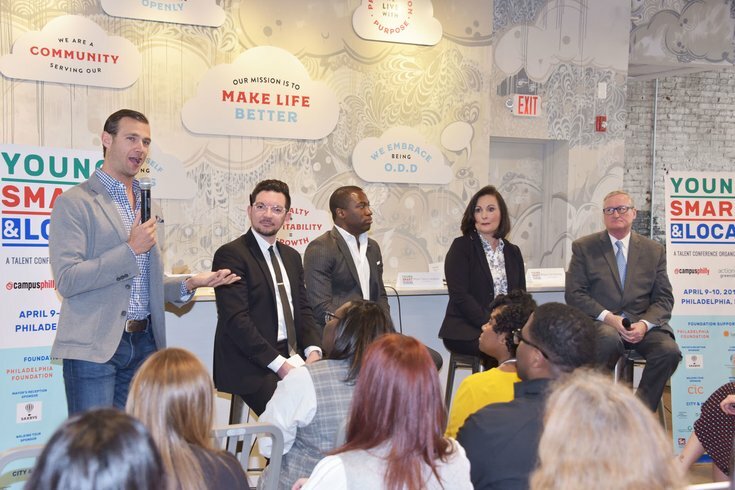 Philadelphia Mayor Jim Kenney was joined by mayors of Greensboro, NC, and Richmond, VA.
Nick Bayer of Saxbys, Lucas Grindley of Next City, Richmond Mayor Levar Stoney, Greensboro Mayor Nancy Vaughan and Philadelphia Mayor Jim Kenney at the Campus Philly Young, Smart and Local Conference mayors' panel at Saxbys HQ in Center City, April 9, 2019. 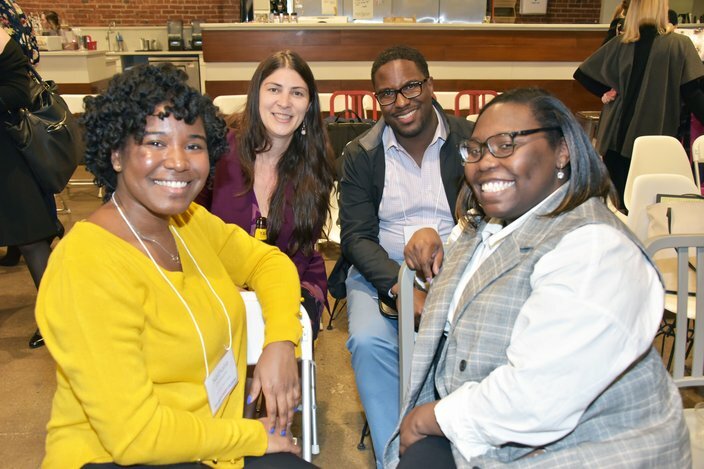 Campus Philly, a nonprofit organization that fuels economic growth by encouraging college students to study, explore, live and work in the Greater Philadelphia tri-state region, hosted the Young, Smart and Local Conference this week. Young, Smart and Local was a two-day conference designed to inform and engage leaders from higher education, business, government, economic development, and community organizations on best practices around talent growth and attraction. On Tuesday night at the Saxbys Headquarters in Center City, Philadelphia Mayor Jim Kenney joined other mayors including Mayor Nancy Vaughan of Greensboro, NC, and Mayor Levar Stoney of Richmond, VA, in discussing college student engagement as a growth strategy for their cities. The panel was moderated by Lucas Grindley of Next City. Each mayor discussed their efforts in attracting young adults to their city, and the results in creating a vibrant arts and culture scene, as well as job opportunities and leveraging city assets as part of college students’ educational experience. 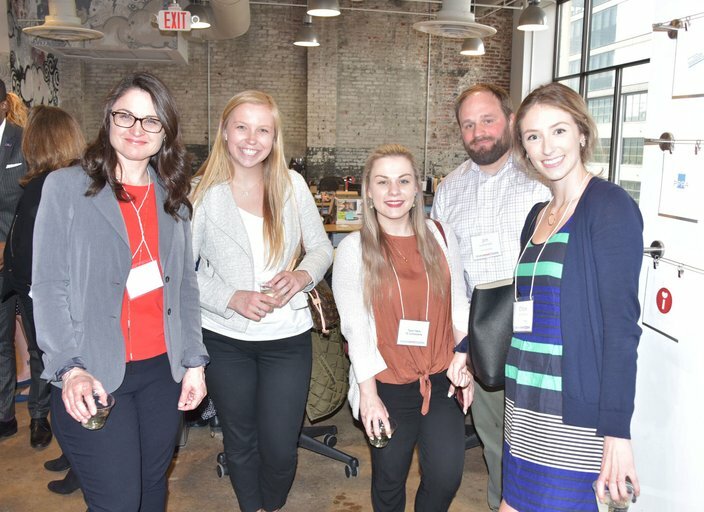 From left to right, Michelle Daly, Carissa Vizzard, Taylor Nace, Jim Heitzenrate and Chloe McCormack at the Campus Philly Young, Smart and Local Conference mayors' panel at Saxbys HQ in Center City, April 9, 2019. 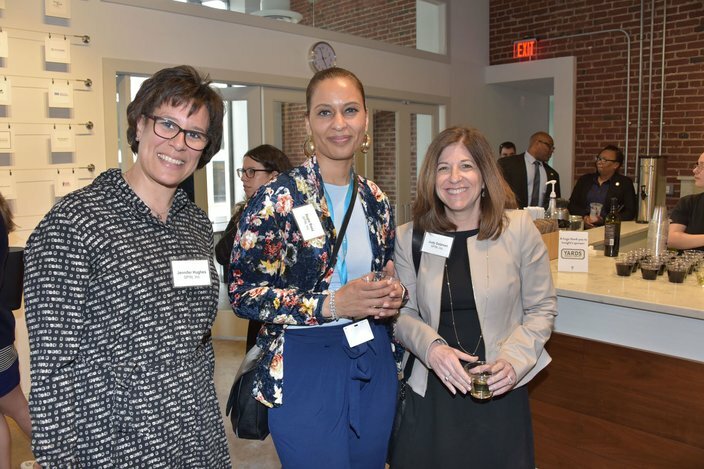 Jennifer Hughes, Regla Baez, and Judy Dotzman of SPIN, Inc., at the Campus Philly Young, Smart and Local Conference mayors' panel at Saxbys HQ in Center City, April 9, 2019. 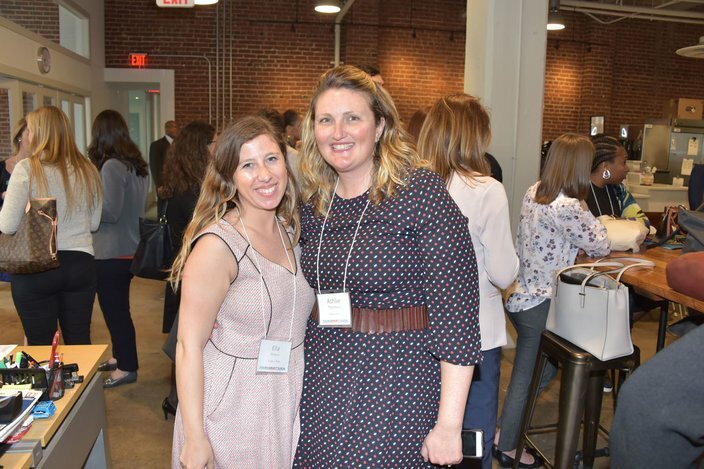 Ella Strauss and Ashlie Thornbury of Campus Philly at the Campus Philly Young, Smart and Local Conference mayors' panel at Saxbys HQ in Center City, April 9, 2019. 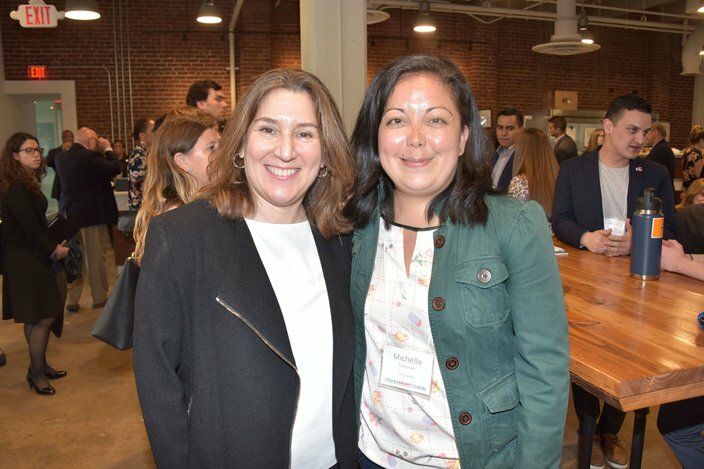 Campus Philly President, Deborah Diamond, and Michelle Freeman of Witty Gritty at the Campus Philly Young, Smart and Local Conference mayors' panel at Saxbys HQ in Center City, April 9, 2019. 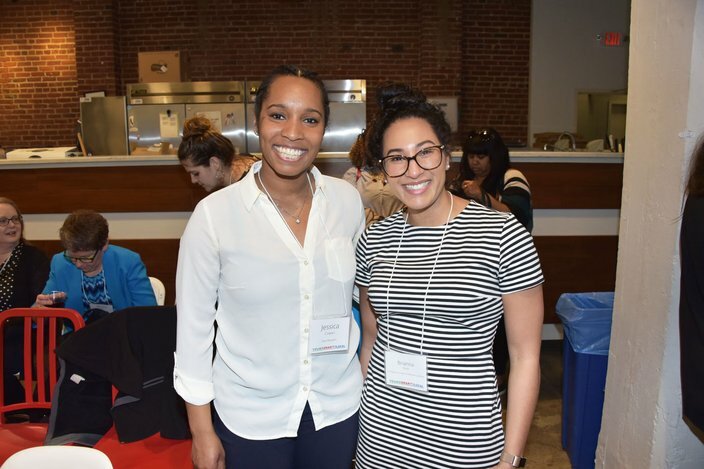 Jessica Cowan and Brianna Rojas of the Philadelphia College of Community Medicine at the Campus Philly Young, Smart and Local Conference mayors' panel at Saxbys HQ in Center City, April 9, 2019. 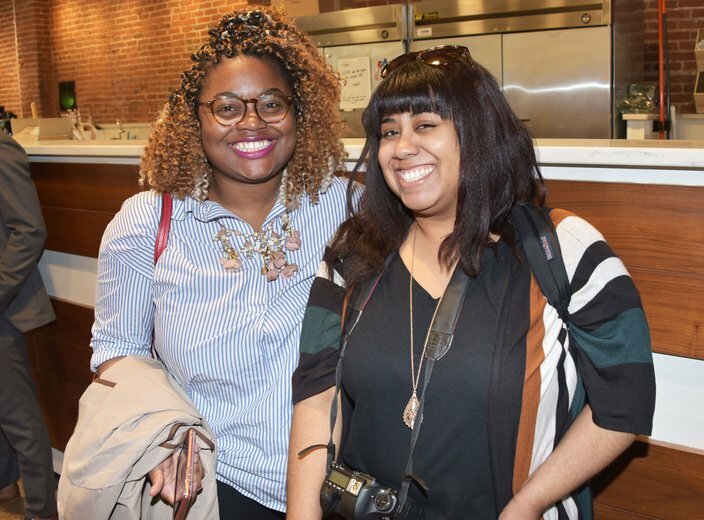 Louisa Mfum-Mensah and Samantha Madera of the City of Philadelphia at the Campus Philly Young, Smart and Local Conference mayors' panel at Saxbys HQ in Center City, April 9, 2019. 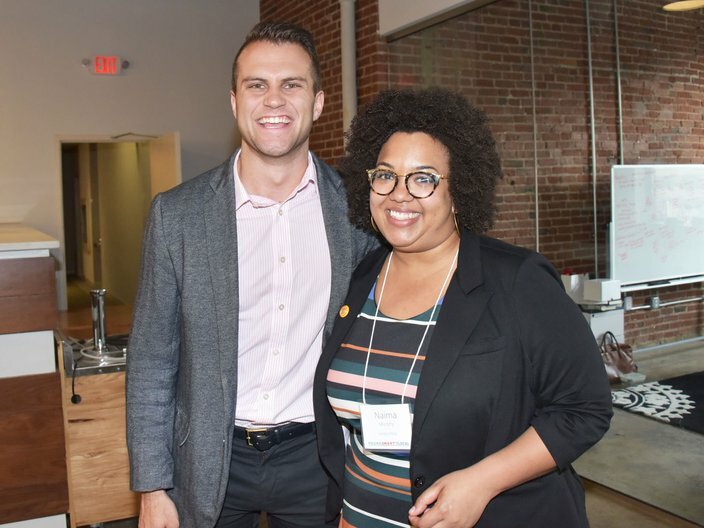 Raymond Smeriglio of Saxbys and Naima Murphy of Campus Philly at the Campus Philly Young, Smart and Local Conference mayors' panel at Saxbys HQ in Center City, April 9, 2019. Nathalie Christophe of Chestnut Hill College, Ashley Putnam of the Federal Reserve Bank of Philadelphia, Walter Farabee and Tiara Moreltrie of the NJ Institue for Social Justice at the Campus Philly Young, Smart and Local Conference mayors' panel at Saxbys HQ in Center City, April 9, 2019.